The mayor and two Toronto city councillors are asking the TTC to investigate whether time-based transfers can be implemented across the transit system for customers who use PRESTO. In a joint letter to TTC Chair Andy Byford, Mayor John Tory, TTC Chair Josh Colle, and TTC Commissioner Mary Fragedakis asked for a staff report exploring costs and other factors surrounding the implementation of time-based transfers for PRESTO users in 2018. “We know that PRESTO use is at 14 per cent among TTC customers. Making time-based transfers available for PRESTO users would have multiple benefits including making transit more affordable, increasing ridership, and encouraging PRESTO adoption,” the letter read. 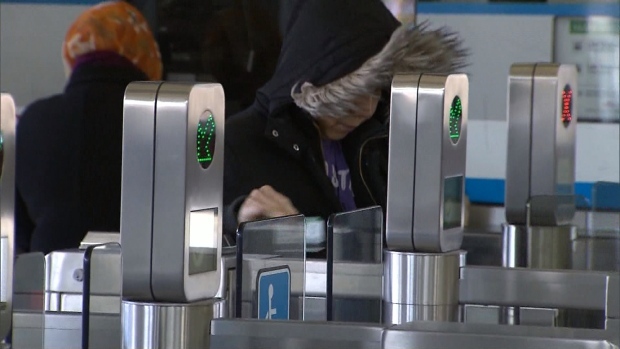 Tory, Colle and Fragedakis also said the move would have the potential to reduce fare evasion. “A TTC report published in 2014 indicated that transfers are currently the biggest contributor to fare evasion on the TTC – costing the system, at that time, nearly $15 million annually,” the letter read. The trio is asking that staff report back on their findings at the Nov. 28 TTC Commission meeting. “Time-based transfers would allow people on transit the flexibility to hop on and off to run errands or make stops along their way to work, school, or home." Colle said in a written statement sent out Thursday. "This would continue the modernization of our services, and further demonstrate the TTC's ongoing commitment to improving the customer experience." In a written statement, Fragedakis noted that introducing time-based transfers could have a positive impact on ridership. ‎"This give residents incentives to ride transit and it works well in other cities," she said. "I have no doubt this will increase ridership especially in off-peak periods and will help small businesses along TTC routes."